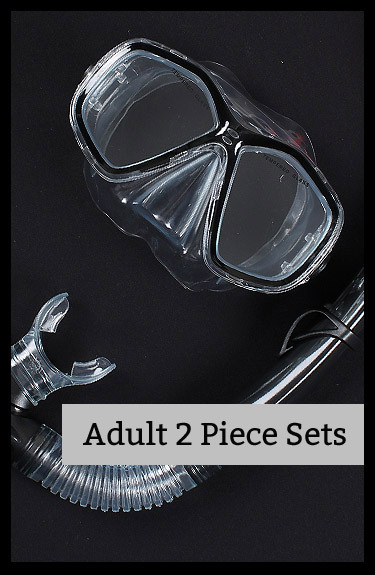 Our huge selection of snorkel sets, snorkels and masks, fins, flippers and other snorkel gear will get you kitted out and ready to explore beneath the water's surface no matter what your level of expertise, age, or snorkelling destination! 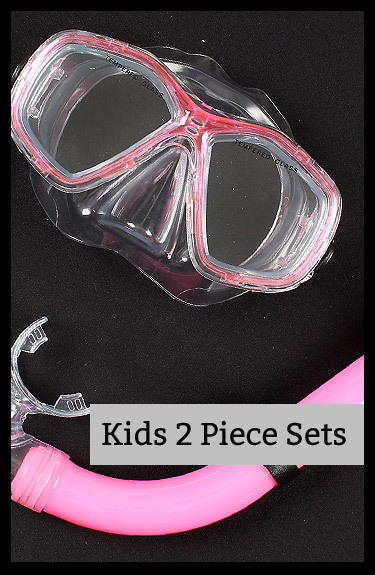 At Two Bare Feet our Snorkelling Experts have all the answers to any of your snorkeling equipment needs; from advice for an entire snorkel set, kids snorkel sets or any number of diving accessories - we'll make sure you're prepared for the water! Whether you’re heading abroad to warmer seaside destinations or visiting coastal waters around the UK, there are some incredible underwater sights to be seen across the globe – and snorkelling is the perfect way to see them. Here at Two Bare Feet, we want to help make your diving experience as amazing as possible, whether you’re a newbie or seasoned snorkeller. Our snorkel gear has been designed with you in mind, to ensure that you get the absolute most out of your time underwater. Snorkelling is widely regarded as a great underwater sport for beginners. With minimal experience needed, any strong swimmer can embark on a snorkelling adventure. All that’s needed is the correct snorkelling equipment, a little safety knowledge, a buddy to jump in the water with and you’re ready to go. From masks to snorkels, and fins to full snorkel sets, we have everything you need to get in the water without a fuss, available in your favourite colours for some enviable snorkelling style. Our range of diving masks contains an option for everyone: whether you want a single lens mask for optimum viewing capabilities, or a double lens mask for their lightweight characteristics. 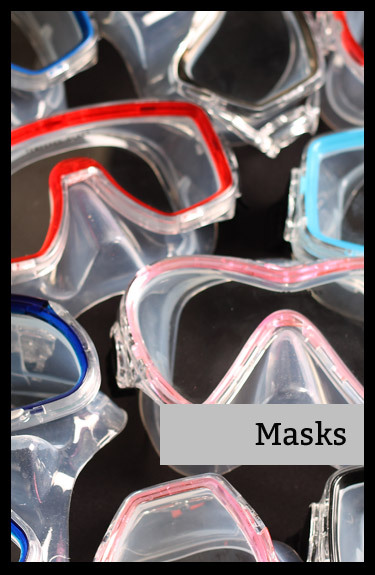 Choose from our selection of super soft silicone masks, that are incredibly comfortable to wear for long periods, or a PVC mask, perfect for a shorter swimming session. 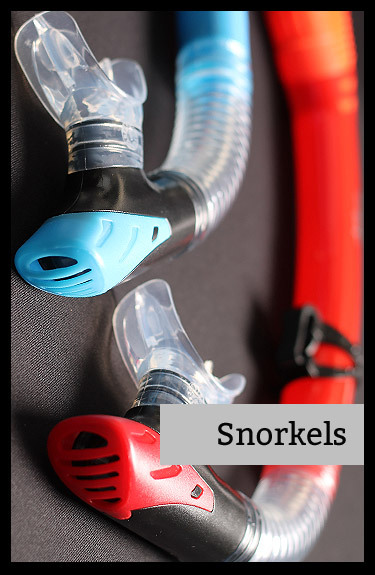 Our snorkelling equipment category also features an impressive selection of snorkels. 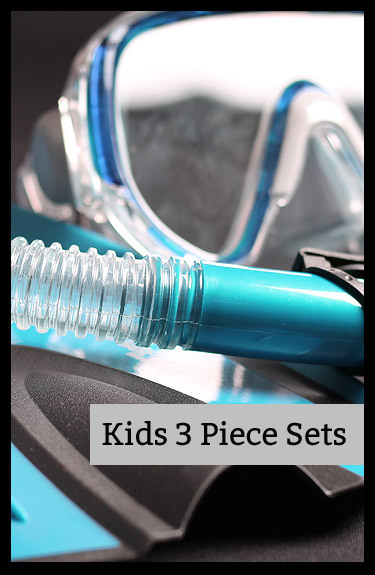 Choose between a dry top snorkel, which benefits from a specialist design which will allow you to dive below the surface without any water entering the tube, or a standard snorkel which boasts a large splash guard – designed to prevent water from suddenly getting in to your equipment while swimming on the surface. The ultimate way to generate some extra power, diving fins are an absolute must when snorkelling. 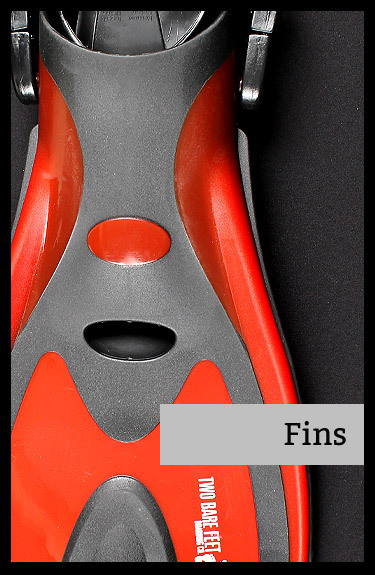 Our extensive range includes shorter fins, ideal for swimming and bodyboarding, all the way up to professional standard fins that boast hydrodynamic technology for effortless power. 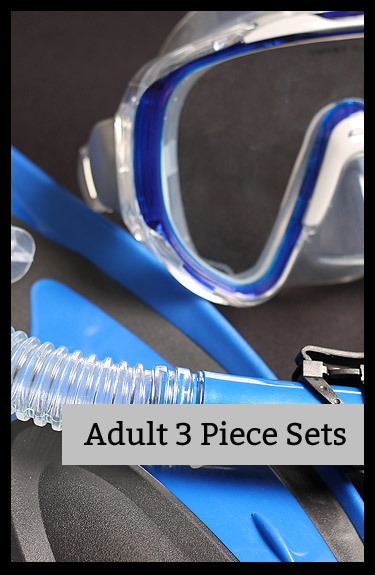 If you’re looking to get kitted out from scratch, our diving sets are the most cost-effective option you’ll find anywhere in the UK. Featuring different combinations of our high-quality, performance-driven diving equipment, including a mask, a snorkel and fins, our sets include everything anyone may need to dive straight in. With kids diving sets also available, there’s nothing stopping the whole family from getting involved.